Happy Easter everyone! Hope you all had a relaxing and enjoyable long weekend. In the meanwhile, remember to go out and taste some of the best produce that South Australia has to offer. 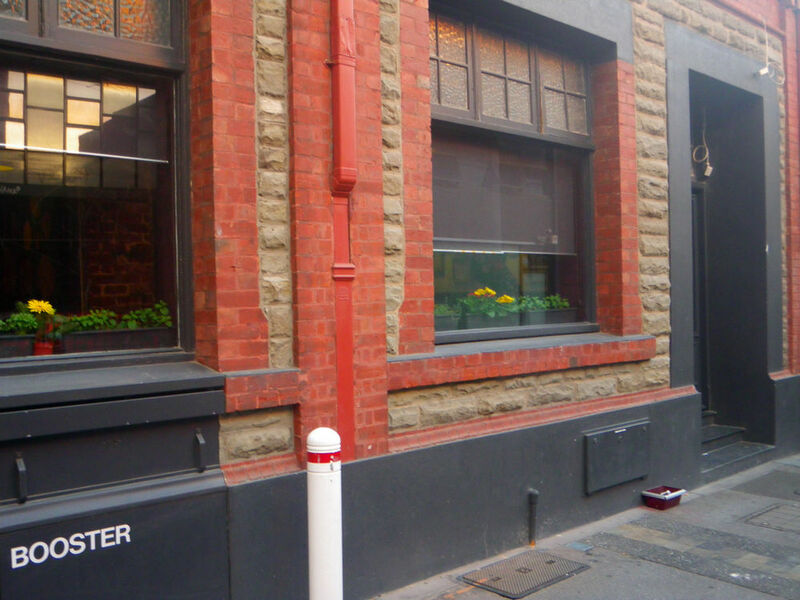 A new bar and grill restaurant has recently opened its door on Peel street three weeks ago and has soon gained popularity among local diners. Having known that the owners previously operated the famed Zorros in Hahndorf, Tina and I decided to head to the restaurant after shopping in Rundle Mall. We used to be big fans of their “pig on the spit” of Zorros and the potato salad :D! We arrived at the door around 5:15 pm after most of the shops closed in the city on the Saturday but were told that the restaurant has been fully booked out. Fortunately, the owner was able to squeeze out one small table for us soon after they opened on the day. The place has been very popular since their opening and has been fully booked for most of the days, even only one week into business. 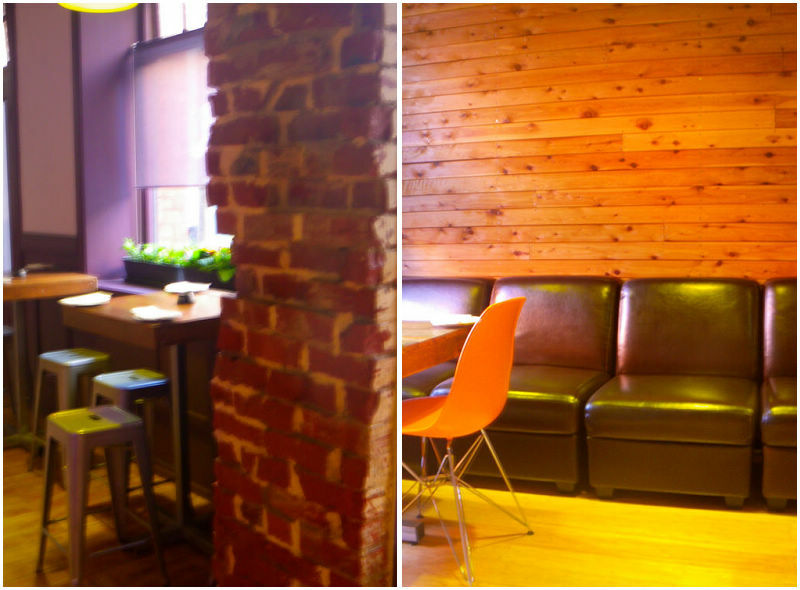 The restaurant consisted of two parts, including a bar in the front and a small dining room at the back. The decor was pretty rustic and musics were already on when we got seated. 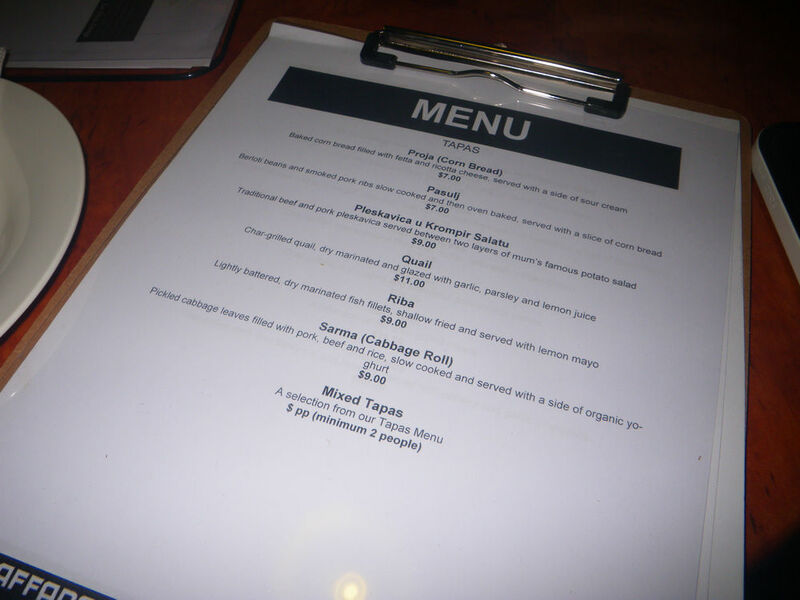 The owners are still changing their menu to figure out what’s best to serve but from my point of view, the dishes listed in their current menu were pretty awesome. There are not a lot of Serbian restaurants around in Adelaide and I am really glad to see Kaffana taking the full power to introduce a “family” atmosphere. Onto the food, as what we normally do, we chose two entrees (tapas) and two mains. However, be warned that the amount of food served here was huge and a main dish could easily fix a demanding hungry belly :D. After being seated for 15 mins, we decided our selection of tapas. Our complementary bread came promptly before the arrival of the tapas. 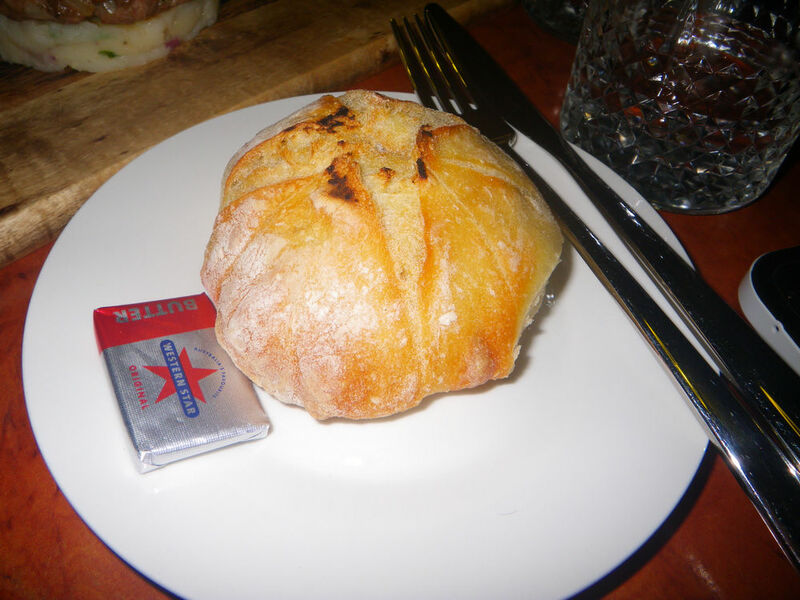 It’s still the old bread served in Zorro’s seven years ago and tasted exactly as good. It was soft and fluffy from the inside while being crusty and crispy on the outside. 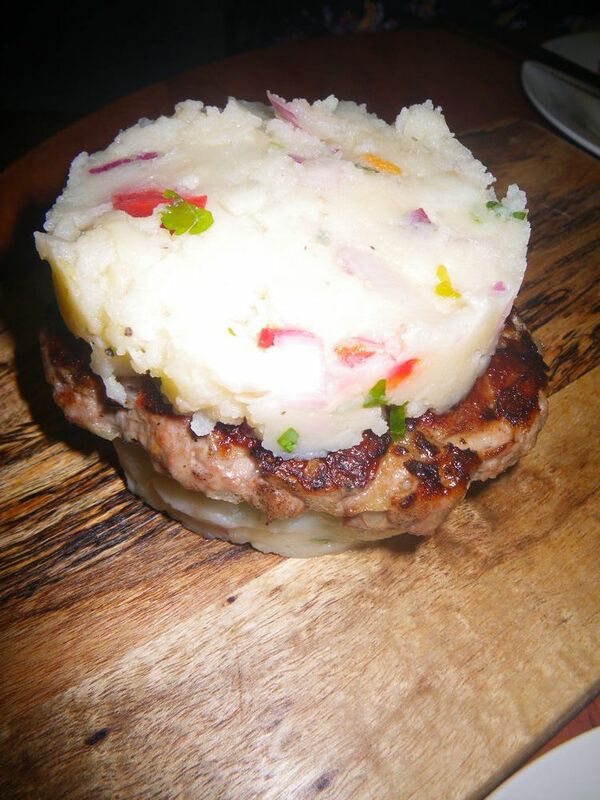 For the tapas, Tina ordered “Pleskavica u Krompir Salatu” – a ground meat patty. Pleskavica u Krompir Salatu $9.00 – Traditional beef and pork pleskavica served between two layers of mum’s famous potato salad. The owners mum, aka the chef, has created a popular potato salad from the time when they were in business in Hahndorf. 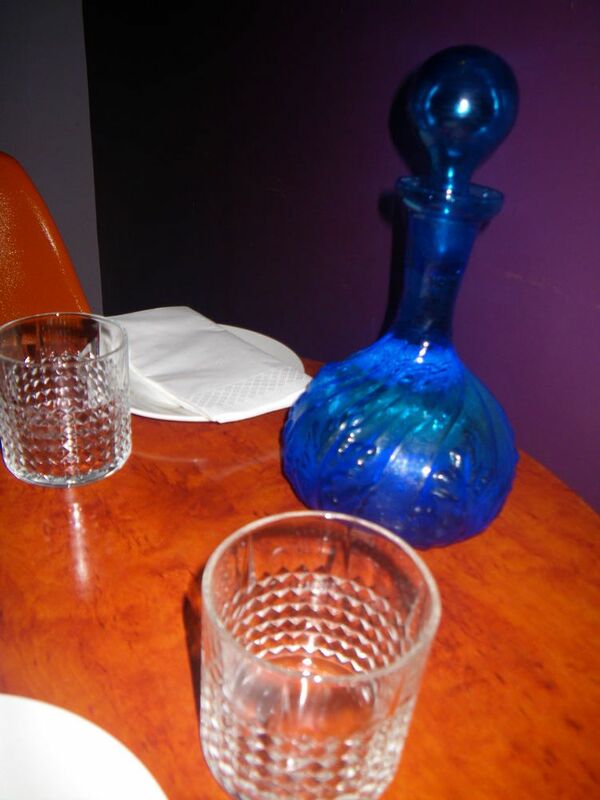 It was ordered when two of us first went to Hahndorf on a date 13 years ago and since then, became our “must order” item every time we went to Zorro’s. It was a pleasure to find the salad here at kaffana and the taste was just as good as before. The cold potato chunks were combined with some vegetables and spices and the flavour was great, especially with a hot meat patty straight off the grill. You would expect lots of juices and heaps of flavours from the meat too. This quail was AMAZING! It was very well marinated and flame grilled. The meat was extremely tender and moist while the flavour of charcoal smokiness and all the herbs and spices were fully infused into the meat. Diners should expect to get their hand dirty as knife and forks would not work very well here. 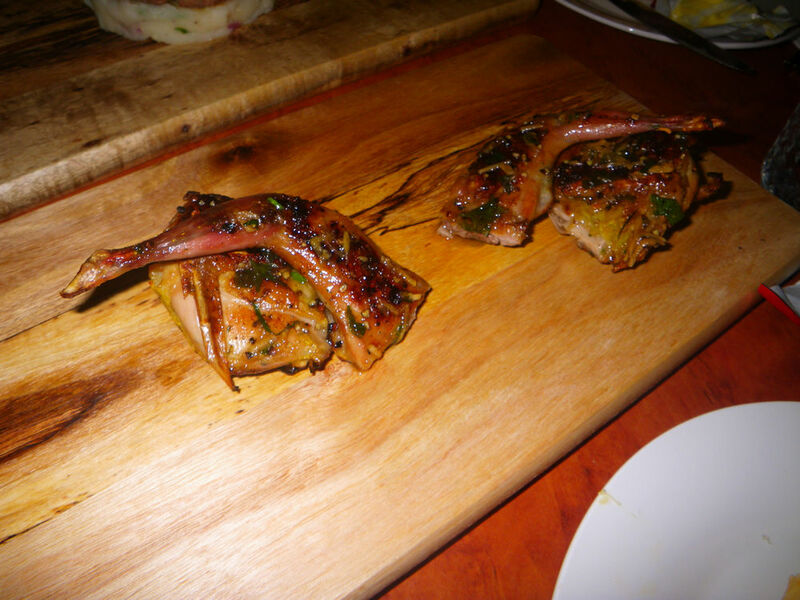 The taste was beautiful with the correct level of saltiness and fresh taste of a quail bird, which was not game at all. Recommended! For the mains, we ordered an old favorite and a national dish for the Serbian cuisine. 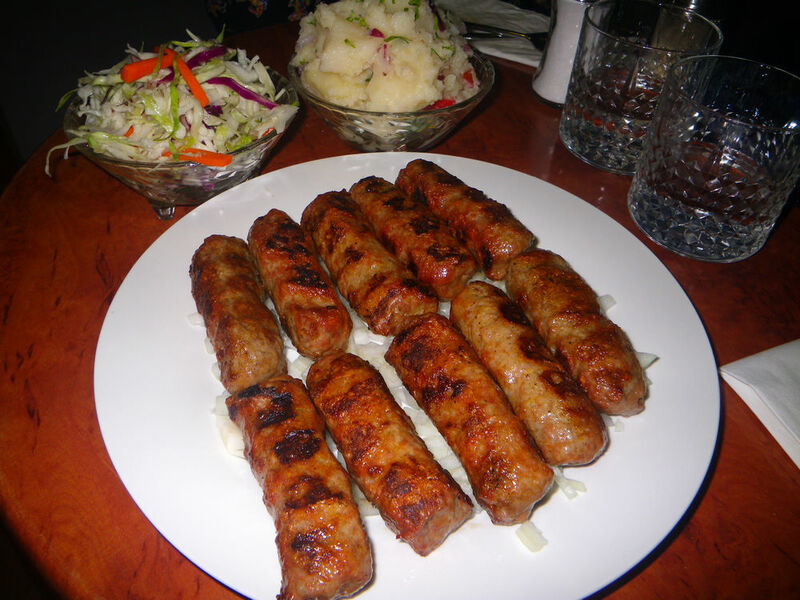 Cevapcici is probably one of the most recognised dish in the Serbian cuisine and is considered as the national dish. Normally, equal amount of the beef and pork are minced and combined together to create this dish and it’s almost always served on a bed of onion. For the dish served in Kaffana, the cevapcici was grilled to perfection with the meat being tender and flavoursome. Lots of juices were running into the mouth while biting the hot meat. The onion was there for a reason because it did not only diminish the slight oiliness from the meat, but also promoted the flavour with its distinctive sweetness. 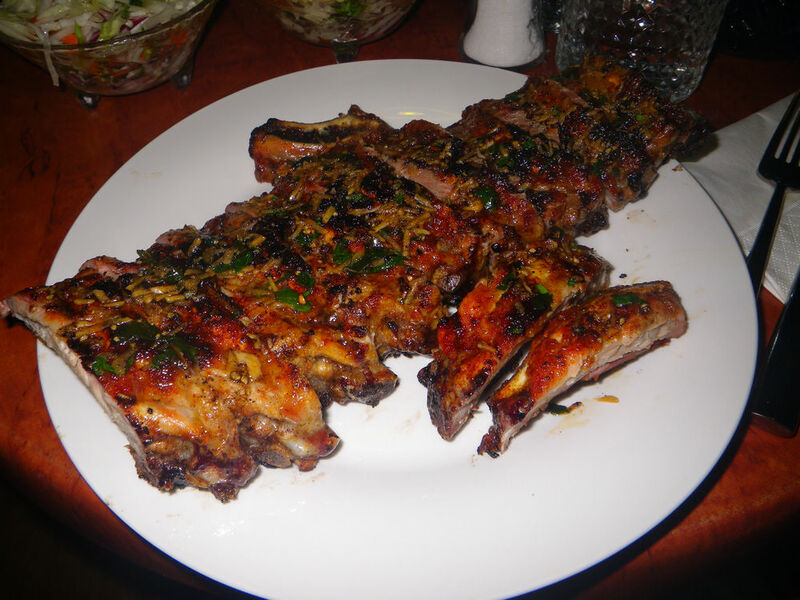 This rib dish is such a classic! The char grilled ribs were super fragrant with all the herbs when served. The meat was very tender and was slightly spicy with good smoky char flavour and balanced salt. It was well seasoned and be warned that you would definitely need to get your hands dirty! 😀 Highly recommended! As from the photos, the serves of the main dishes are quite large. Unfortunately, we only finished half of each mains and had to take away the rest. Overall, I enjoyed the food and will definitely return for further adventures. Emm, maybe at times when they do “pig on a spit” :D.
OMG! This is my type of food. The serve looks huge! Love love love Zorro’s! We need to check this place out soon. Thanks for sharing! What a lovely place for a drink or two with friends! Like your review.